RLJ Entertainment’s Urban Movie Channel (UMC) kicked off Black History Month with the premiere of the Underground Railroad drama, “The North Star,” on February 5, 2016. Based on true events, the film chronicles the perilous journey of two slaves, Benjamin “Big Ben” Jones (played by former Philadelphia Eagles’ Jeremiah Trotter) and Moses Hopkins (Thomas C. Bartley, Jr.), who escaped from a Virginia plantation and made their way to freedom in Buckingham, Pennsylvania in 1849. A directorial debut by Thomas K. Philips, the feature film also stars Lynn Whitfield, Clifton Powell, and Keith David. On February 19, UMC will premiere “Becoming Barack: Evolution of a Leader,” a revealing portrait of President Barack Obama‘s formative years in Chicago, and “Bound: Africans VS. African Americans,” a hard hitting documentary that addresses the little known tension between Africans and African Americans, produced by Isaiah Washington and directed by filmmaker Peres Owino. Available at urbanmoviechannel.com, UMC is the first urban-focused streaming service in North America showcasing quality and exclusive urban content designed for African American and urban audiences. “Empire” star Jussie Smollett will moonlight in a guest starring role on WGN’s “Underground,” joining his famous sister Jurnee Smollett-Bell, the network announced Wednesday. As previously reported, “Underground” follows a group of enslaved people in Georgia planning a 600-mile escape to freedom. Along the way, they are aided by a secret abolitionist couple running a station on the Underground Railroad as they attempt to evade the people charged with bringing them back, dead or alive. 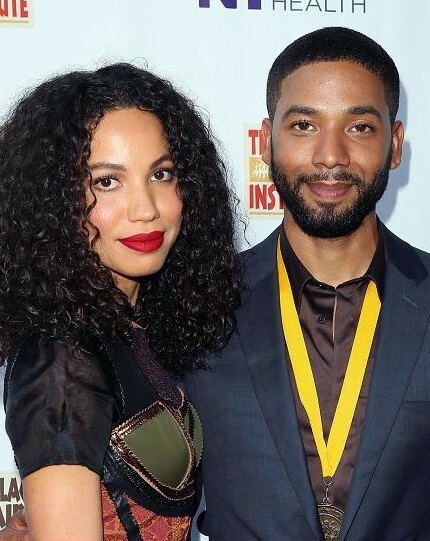 Smollett will play Josey, a runaway who doesn’t trust anyone, not even those stationed along the way who would try to help him. Smollett joins a cast that includes Christopher Meloni (Law & Order: SVU), Reed Diamond (Agents of SHIELD), Aldis Hodge (Rectify), Jessica De Gouw (Arrow) and Marc Blucas (Buffy the Vampire Slayer). Creators Misha Green (Sons of Anarchy) and Joe Pokaski (Heroes) will executive produce the Sony Pictures Television and Tribune Studios entry with Weed Road Pictures’ Akiva Goldsman, Tory Tunnell and Joby Harold of Safehouse Pictures. Production began in the spring for a 2016 premiere. A group that wants to kick Andrew Jackson off the $20 bill and replace him with a woman has, after months of collecting votes, chosen a successor: Harriet Tubman. Tubman, an abolitionist who is remembered most for her role as a conductor in the “Underground Railroad,” was one of four finalists for the nod from a group of campaigners calling themselves “Women on 20s.” The campaign started earlier this year and has since inspired bills in the House and the Senate. In all, the group said, it has collected more than 600,000 votes for its campaign. In Tuesday’s White House press briefing, Press Secretary Josh Earnest said that Tubman was a “wonderful choice” for the bill, but stopped short of saying whether the President backs putting Tubman on the $20. If the government agrees that it’s time to replace Andrew Jackson on the bill, its choice might not end up being Tubman. But the idea of putting a woman on America’s paper currency has attracted some notable support.